What Do You Get When Formula 1 Star Nico Rosberg Takes A Porsche Mission E To The Track? The YouTube video below recently caught our attention. Seeing Nico Rosberg’s smiling face with his hand on electric Porsche Mission E on a track conveyed a great deal. If you want to drive enthusiasm, what better way than to show what a popular public figure can do with your product or service. And getting Nico Rosberg to test drive the Porsche Mission E prototype on a track is a great example of that worth watching. Just note that you have to skip the video to the important part, at 5:49 minutes in, unless you want to see what a Panamera hybrid and a GT2 RS can do before Nico introduces the Porsche Mission E.
Can The Porsche Mission E Compete With Jaguar’s I-PACE and A Tesla Model S? 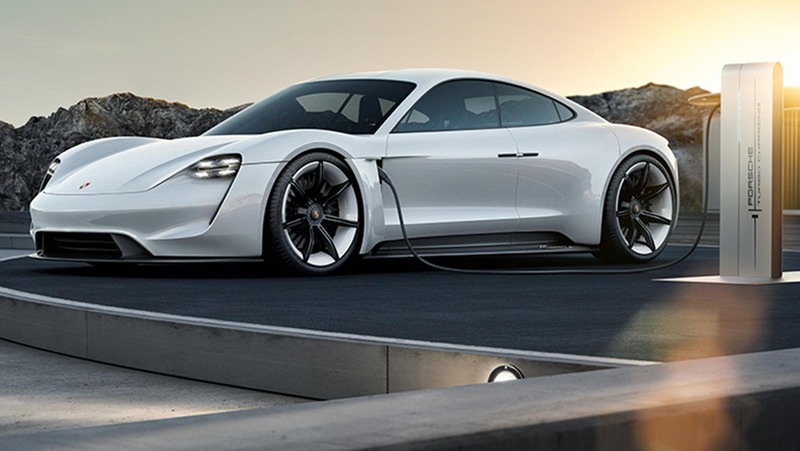 Since only Jaguar and Tesla have shown a final product to date, we can only gauge what the Porsche Mission E should look like when it comes out based on what we have seen so far. The Mission E looks as if it is based on the 918 platform, itself already an impressive flat and big car in terms aesthetics and physical dimensions. 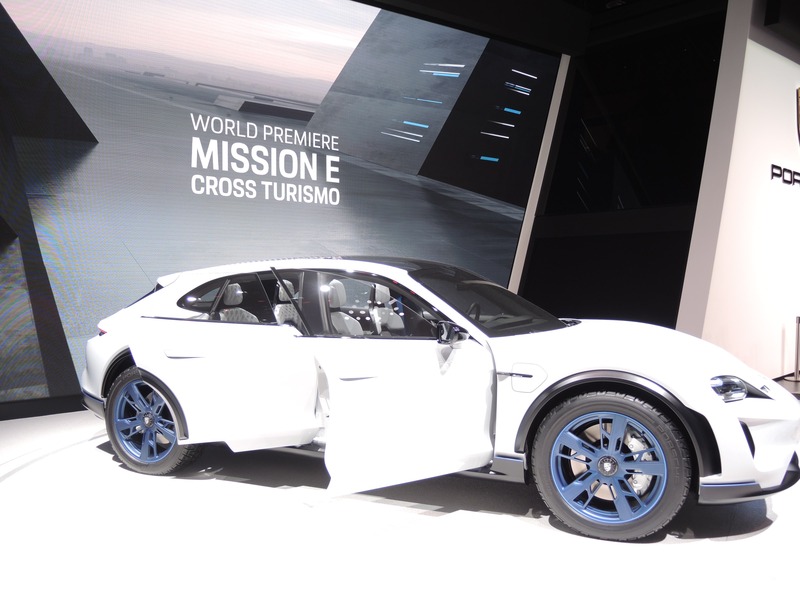 The Porsche Mission E is wide, fairly low to the ground, and a perfect alternative to the Jaguar I-PACE or Tesla Model S. The suicide doors might never make it to production — although, we find BMW did a great job transitioning from the Efficiency Vision Dynamic prototypes to the actual i8. Nico Rosberg says that the Porsche Mission E has “the proper Porsche feeling,” meaning the handling characteristics reflect that of the company’s DNA. In other words, the Porsche Mission E handles like a Porsche. Nico Rosberg, probably more attuned to light cars, finds the Mission E heavier than other cars but that it still corners well. We’ll have to wait to test drive the Mission E, and by the way Porsche, we’re only a stone throw away from the Porsche Drive Center in Los Angeles! Having Nico Rosberg test drive the Porsche Mission E prototype is a good idea — albeit, it was much too small of a passage in the video.